Under the new Alphabet organization and Sundar Pichai’s leadership, Google has focused itself on the things Google is actually good at, and which people will actually want to use. No more pie-in-the-sky stuff like Google Glass. Google is clearly the best at this voice-driven assistant stuff. Pichai claimed that in their own competitive analysis, Google Assistant is “an order of magnitude” ahead of competing assistants (read: Siri and Alexa). That sounds about right. This might be like Steve Jobs’s 2007 claim that the iPhone was “5 years” ahead of anyone else. Pichai’s example of a query Google Assistant can handle but which “other assistants” cannot was asking “What is Draymond Green’s jersey number?” I tried that query in the Google app on my iPhone. Got the right answer: 23. I tried with Alexa on my Echo, and got the response “Hmm. 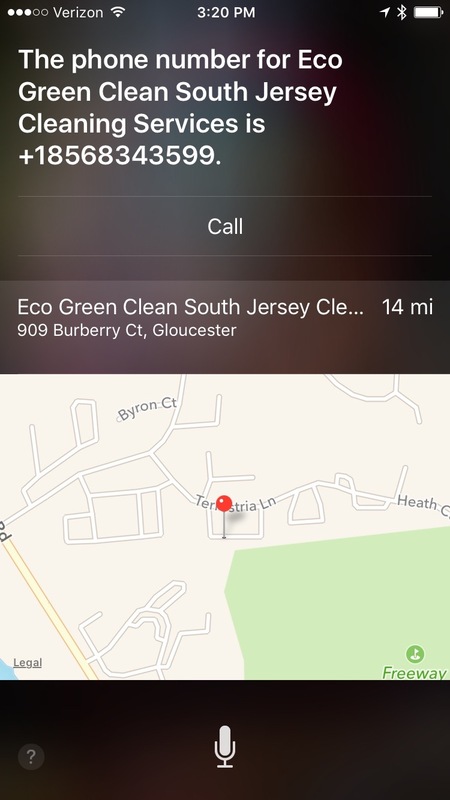 I can’t find the answer to the question I heard.” I tried with Siri, and I got this. Update: Wow. Dozens of DF readers have replied that Siri correctly answers that same question when they ask: exhibits 1, 2, 3, 4, 5, 6, 7, 8, 9, 10, 11, 12 on Twitter, and more via email. And lo, when I ask “What is Steph Curry’s jersey number?”, Siri nails it. But I’ve tried at least 20 times, on multiple iOS devices, with “Draymond Green” and Siri gets it wrong each time, usually sending me to that same dry cleaner in New Jersey, sometimes suggesting a Bing web search. I can’t get it to work even when I say “What’s the jersey number for Draymond Green of the Golden State Warriors?” Maybe it’s my Philly accent. I tried with Derek Jeter (retired), Larry Bird (long retired), and Tony Romo (2017 Super Bowl champ-to-be) and Siri correctly answered all three — quickly.